Recently I've been filling in a couple of 'Favourite Beauty Product' type surveys for magazine publishers & it got me thinking, why don't I compile a list of my favourite products from throughout the year. I always love hearing other people's favourite products, as you'll know from my latest giveaway so I hope you enjoy my picks! Click through for the full breakdown! Magic Wand, Creme Cup, Lickable. Best Lipstick: This was a tough call, I won't even tell you how many colours there were to choose from! In the end though these two were equal winners as easily they were my most worn shades this year. Both are Cremesheen formulations too so they are some of the more hydrating lipsticks out there. Best Bath & Shower Products: Lush easily wins this category!! 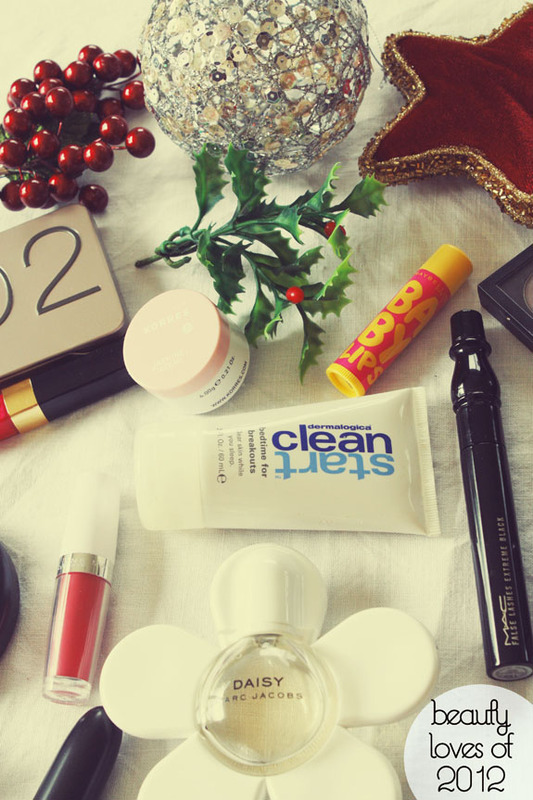 The majority of their products are super affordable & smell amazing. Particular mention has to go to their Snow Fairy Shower Gel & their bath ballistics & bubble bars. Sorry this photo is quite dark everyone! Daisy, Body Sparkles, Satin Taupe. 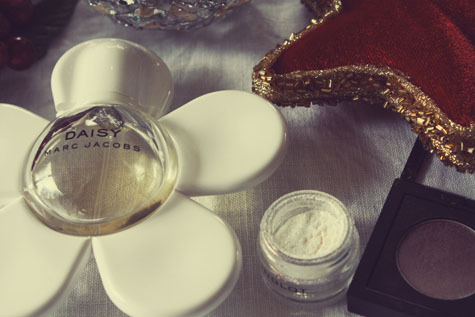 Best Fragrance: An easy winner with Daisy Marc Jacobs & its sister scent Eau So Fresh. This is such a gorgeous all time scent, I love it. My bottle is completely empty (sad face) which is why you're seeing the travel sized version here. Best Eyeshadows: Again, this was way too hard to decide, especially as I am an eyeshadow lover. It came down to Satin Taupe as an all over neutral lid colour layered with Inglot's body sparkles for extra shimmer. Honourable mention has to also go to YDK by Urban Decay which is included in their Naked 2 palette. Dadi Oil, Pressed Powder, Lip Butter, Superstay Lipstick. Best Nail Care Product: Dadi Oil simply because it is great for strengthening the nails themselves as well as stimulating blood flow through the nail plate itself. If you regularly paint your nails or have manicures done professionally then you need this in your makeup bag. Best Powder: MAC's Studio Careblend has been well used this year as you can see by the pan showing through. I've had this powder since March & I still have heaps left!! It provides great coverage & counteracts shine fantastically so it is well worth the purchase. 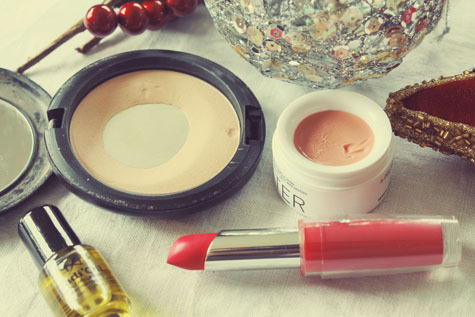 Best Lip Balm: Korres Lip Butters. They smell amazing, have lovely tints & leave your lips feeling moisturised & soft once this balm is applied. Unexpected Surprise Favourite #1: I haven't really tried many of Maybelline's products before & I was sent these lipsticks to review by nzgirl a few weeks ago. I was pleasantly surprised by the staying power & pigmentation of these lipsticks. 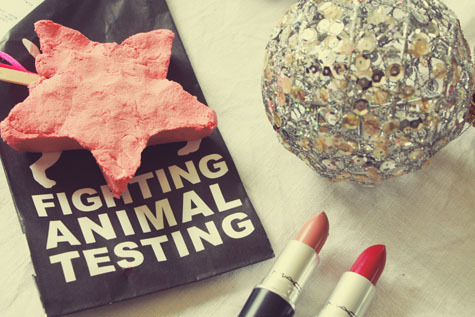 There are definitely some great MAC dupes in this range if you're wanting to try out colours. False Lashes, Eye Liner Pencil, Baby Lips. Best Mascara: This mascara has been a favourite of mine for a few years now & with good reason. With a couple of coats this mascara leaves your lashes looking naturally lengthened, with 3 or 4 coats your lashes begin to look as though you have applied dainty false lashes. This is definitely one of MAC's best mascaras. Unexpected Surprise Favourite #2: Again like Maybelline I hadn't tried any of Rimmel's products & wanted a white eye pencil to line my waterline so I picked this one up. It is super easy to use & the colour itself lasts for a fair few hours. 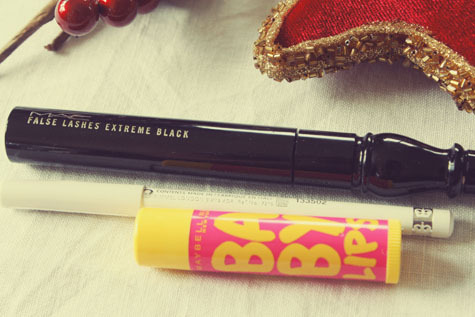 Best Drugstore Find: A staple in many a kiwi girl's handbag this year were the Maybelline Baby Lips Lip Balms. They are super moisturising & don't feel too drying on the lips. 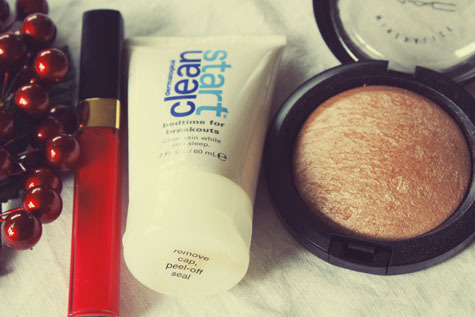 They're also affordable too so you can easily have a few of these in your makeup bag. Levres Scintillantes, Bedtime for Breakouts, Mineralize Skinfinish. Best Lip Gloss: Admittedly I don't wear a lot of lipgloss nowadays but when I have Jalousie by Chanel has been the best. The colour is gorgeous, the gloss itself isn't sticky at all & it lasts nicely on the lips too. Best Skincare Treatment: Dermalogica's spot treatment has saved my skin many a time this year. It clears up spots faster than any of the supermarket products I've tried & will not dry your skin out as you only need to use a small amount of this solution. Best Luxury Product: I use the word luxury loosely but this is one of the more expensive makeup products I've purchased this year. MAC's Mineralize Skinfinish in Soft & Gentle is a cult classic & with good reason. This skinfinish adds the loveliest shimmer to the cheekbones & is a stunning highlighter. I love it as an all over lid colour too.